What does a Governor do? Click here to find out! The Governance Board of Holy Trinity Primary School and Community Nursery endorses the school’s values of Respect, Faith, Harmony and Lifelong Learning. The Board adheres to the Nolan Principles which recommend standards of conduct in various areas of public life, including school governorship. The Principles support the values of Respect and Harmony which are incorporated into our Code of Conduct, which is reviewed annually. Every Governor fully abides by the terms of our Code of Conduct, click here to read it. Our Committees focus on three specialised areas; Teaching & Learning, Finance & Personnel and Community & Ethos which give us the opportunity to ensure that the values of Lifelong Learning and Faith are similarly supported. In October 2017 our Governance Board was awarded Governor Mark accreditation. The award is recognised by both the Department of Education and the National Governors Association. Governor Mark is a quality standard for school governance boards in England. It was developed in 2006. The process of accreditation involves assessment against a detailed framework covering all aspects of the responsibilities of school governance. 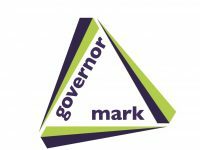 Achievement of the award allows the school to display the GLM (governance, leadership and management) Governor Mark logo. In the last year, only 30 governance boards received the Governor Mark accreditation, with ours being the only governance board in Dorset accredited. Members of the Governance Board were involved in the June 2018 Ofsted inspection and met the Lead Inspector. In the published report it was noted “Governors are active within the school and challenge leaders effectively to secure school improvement.” We were delighted that the school achieved a Good rating, and will continue to support the school to fulfil its greater potential. The role of a school governor is one that is constantly evolving, and we continue to develop our skills with training from the Local Authority, the Diocese of Salisbury and other external providers. The Governance Board focuses primarily on strategic issues rather than operational matters. Our Strategic Aims are reviewed every year to take account of the progress the school has made against the current aims and to continue to raise our aspirations. Our Strategic Aims can be viewed here. Because we review our Strategic Aims annually, we ensure that we strive to achieve what is in the best interests of our school. The Governance Board was reconstituted in 2018 and now consists of 11 members, each of whom is highly dedicated. Our Governors bring to the meetings a wide range of experience and expertise, which is set out in more detail within their personal profiles below. I am serving my sixth year as Chair of Governors, my term expiring in 2022. I have completed the Chair’s Development Programme in order to ensure that the school benefits from best practice. My career was corporate law and finance so combined with a previous school governorship, I am able to offer a considerable range of relevant experience. I am a member of all the sub-committees. My motivation to support the school is to ensure that every child has the best life opportunities through receiving the greatest educational start possible. An outstanding primary school education is the most valuable gift any child can receive; my goal is to support our school in delivering the greatest educational start to all our pupils. I am in my third term of office as a Co-opted governor of Holy Trinity Primary School and Nursery. My current term of office began in September 2018 and will continue until August 2022. My professional background lies in education and I retired as the headteacher of a large special school where I thoroughly enjoyed the challenge of meeting the individual needs of children who found it hard to learn. My particular responsibilities in Holy Trinity are as the lead governor for Special Educational Needs and Disabilities (SEND) and Children who are looked after by the Local Authority (CLA). I am Chair of the Finance and Personnel Committee and a member of the Teaching and Learning Committee and the Headteacher Performance Management team. I enjoy meeting the pupils of our school in both formal and informal occasions when I visit the school site. Outside of school I enjoy walking, reading, meeting friends and gardening. I am an elected Parent Governor appointed by the school. My term of office runs until October 2019. I have two daughters and a son who attend Holy Trinity Primary School in years 5, 3 and 2. I’ve lived and worked in Weymouth for 14 years, during which time I’ve married and started a family. My background is in Software Engineering and currently hold a position as a Systems Engineer. My interests include sports, information technology and the outdoors. I am the Chair of the Teaching and Learning committee and Sports Funding Governor. As Headteacher I hold an ex-officio position on the Governance Board and I serve on all the Governance Board Committees, as well as attending Full Governance Board meetings and working parties. I have the responsibility of providing the Governance Board with the school information that they require in order to inform their decision making. I have been a Governor for 9 years, in two different schools. I have been in education for 30 years, and have fulfilled a range of roles during that time, including being a Headteacher, School Improvement Consultant and Borough Moderator. I have the best interests of our children and their families at the heart of everything that I do, and I am passionate about raising aspirations, expectations and ambitions. My aim is to provide the children and families of Holy Trinity with the highest quality of education, within the context of the schools’ values of Respect, Harmony, Faith and Lifelong Learning. I am a newly appointed Governor, with my term expiring in 2022. My background is mostly in pre-school teaching, but I’ve also worked with children in school, charity and church settings for many years. I’m married and have two daughters, aged 3 and 6, the eldest is a Key Stage 1 pupil at this school. I’m also a member of the Sunday school team at Holy Trinity Church. I believe that the school’s Christian values should permeate every aspect of its life and teaching, to best benefit our children and the community around us. As a governor, I hope to uphold and defend these values, and to work to increase their impact in every necessary context, together with the board, the staff, the pupils and their families. I am a member of the Community & Ethos Group, and the governor responsible for Health & Safety. I have worked within the local authority as part of the school improvement service from 2004 – 2016. Prior to this time, I was headteacher of two First schools in east Dorset, both of which were judged to be ‘Outstanding’ by Ofsted. My role within the local authority covered numerous duties; supporting schools pre and post Ofsted inspections, working with leaders and governors in schools causing concern and also providing challenge and support as a School Evaluation Partner. In addition, for some time I was responsible for the overall quality of Early Years provision across Dorset, in both the private and maintained sector. My final two years with the LA was in the role of Principal advisor responsible for school improvement across all phases of education as well as responsibility for the moderation programme at Early Years, Key Stages 1 and 2. Currently I work with a number of schools in my capacity as an independent education advisor. I am a member of the Church of England, am confirmed and served for some time as Church Warden at St Nicholas and St Laurence Church. I have previously worked with the Governors of Holy Trinity Primary School when I was employed by the local authority. I am delighted to have the opportunity to continue to help support the school and have joined the Teaching & Learning Committee. My term expires in 2021. I am very proud to be Deputy Headteacher of Holy Trinity Primary School and a newly appointed staff governor this year. My term runs until 2022. I am delighted to sit on both the Teaching and Learning and Finance and Personnel Committees. I am passionate about teaching and providing the best possible learning experiences for all children. I have considerable experience in leading curriculum development, assessment, phonics and the teaching of early reading and writing, in addition to my maths subject specialism. My particular interests include developing maths mastery practices, reading up on the very latest pedagogical research and supporting the continuing professional development of teachers through coaching and mentoring. My additional teaching qualifications include being a Specialist Maths teacher (MaST) and a Specialist Leader in Education (SLE). My other interests include sporting activities such as swimming, tennis and volleyball. I also enjoy watching and supporting my favourite football team, Arsenal!